24 Games in a pocket-sized box to play wherever you want! 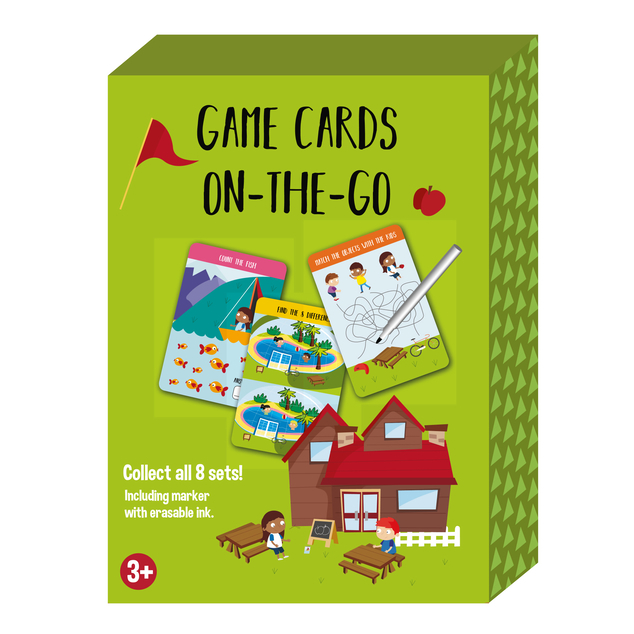 Play in the car, on a plane or on a boat! Take them with you and traveling will never be boring again! 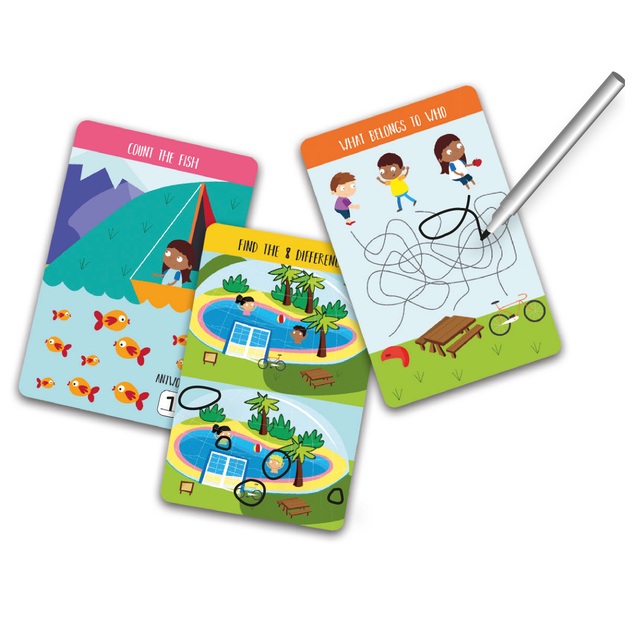 The set comes with an erasable ink marker so you can have endless fun! 4.13" X 5.6" x 1.2"